Webersburg is a boutique winery located in Stellenbosch in the popular Cape Winelands. Webersburg offers a variety of wedding venue options to host either large lavish affairs or smaller more intimate wedding celebrations. The majestic views of the mountains and vineyards create the ideal backdrop for any celebration or special event. 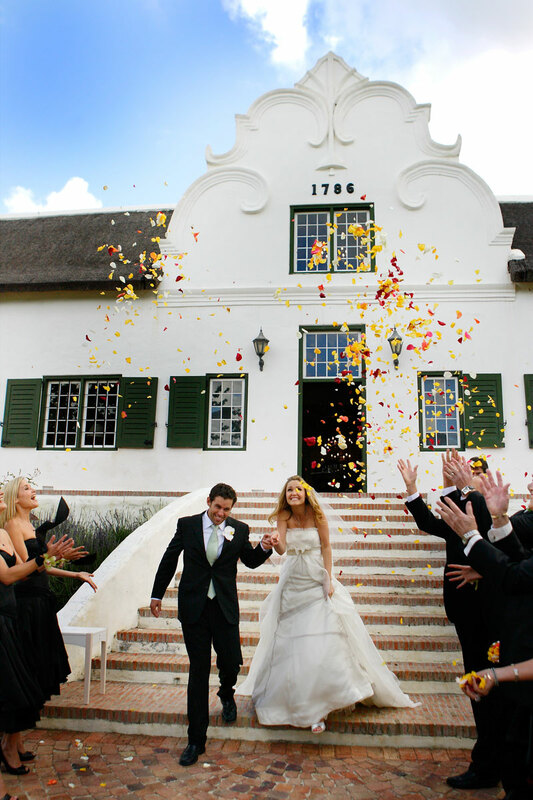 The historic, stylish wedding venues and surrounding grounds combined with award winning wines, mouth watering cuisine and dedicated service will make your special day an unforgettable experience. Other Options Please contact Webersburg for more info. From time to time Webersburg may offer special prices for midweek, low season and last minute weddings. Please enquire. Please contact the Team at Webersburg for a personal site inspection and a tailor made package to suit your individual needs which you can do by calling Monique Weber on telephone +27 (0)21 881-3636 or mobile: +27 (0)82 771-7969 or see Webersburg for accommodation bookings and to send an enquiry.